The Eranos Institute is a center for the exchange of ideas and cultures. The eranos program can be downloaded here. The Eranos Institute was the subject of my fifth design studio at the University of Oregon. 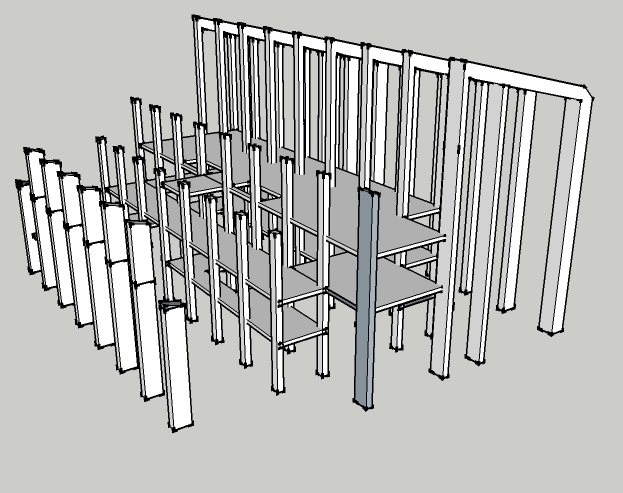 During the course of this project I became experienced with Revit Architecture 2009 which I used for final presentation documents. 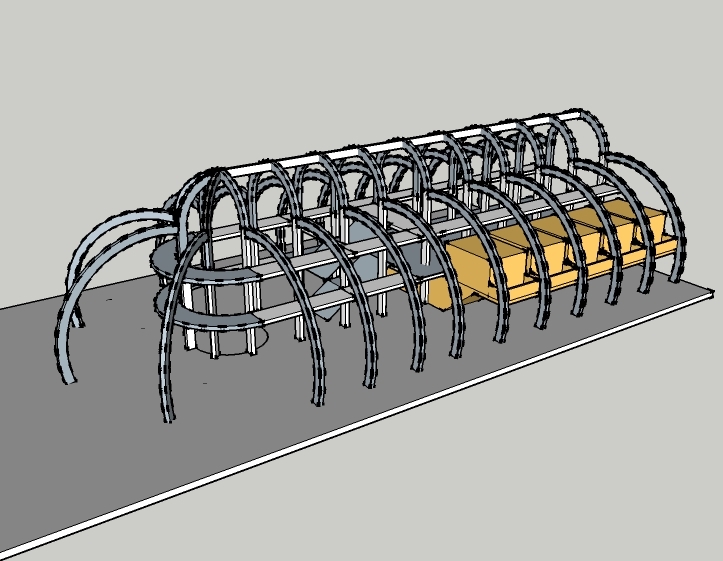 These images were generated from a massive BIM model with dozens of custom articulations. 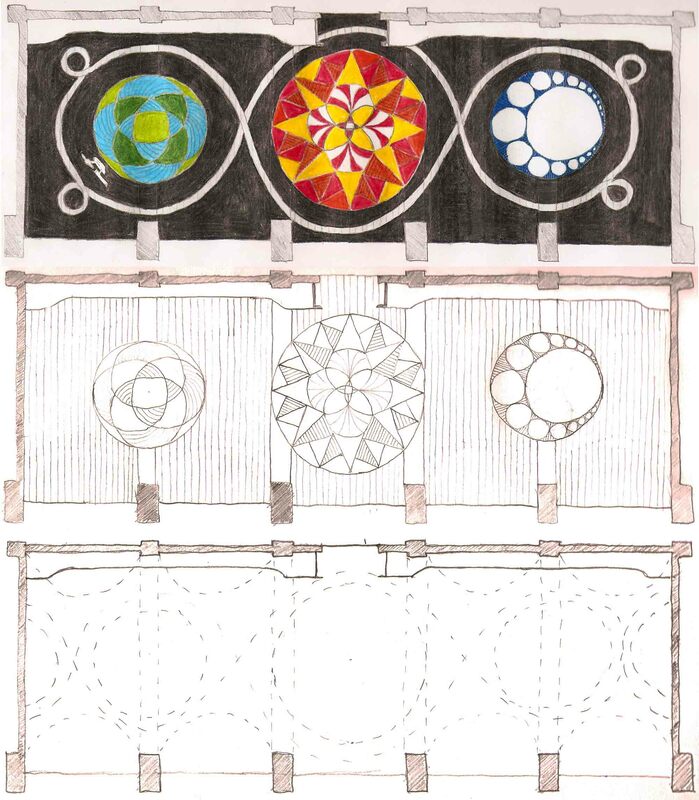 The following image is a artistic study I did for a conceptual terrazo floor mural to be emblazoned on the ground on the first floor of the library portion of the Eranos Institute. It represents a progression of the idea from basic geometric investigation to a fully-rendered concept. 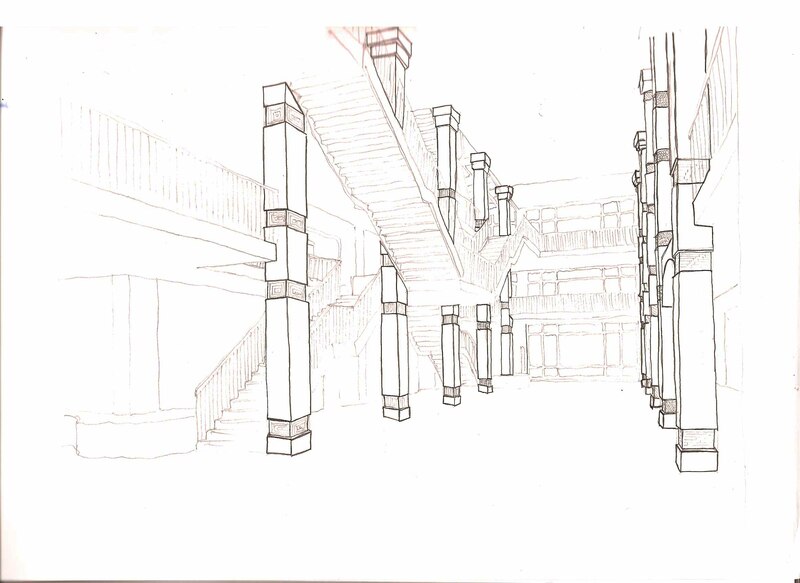 The following sketch is part of an investigation of “room specific structure” in the great hall of the Eranos Institute. It shows various designs for the articulation of the void spaces segmenting the colums. 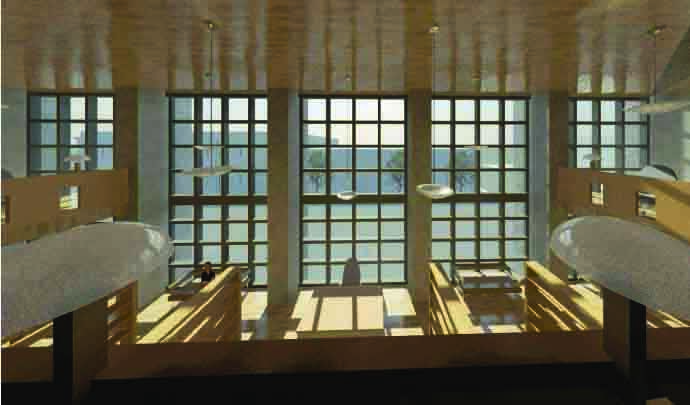 Lighting and solar orientation were a major design concern while developing the Eranos Institute. 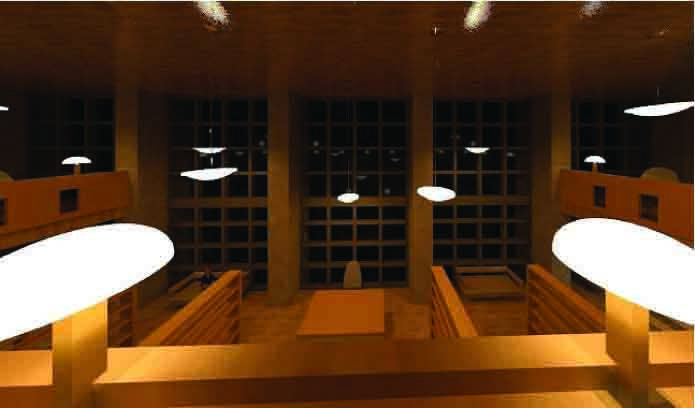 The following images represent part of a light study I conducted of the library using Revit 2009. 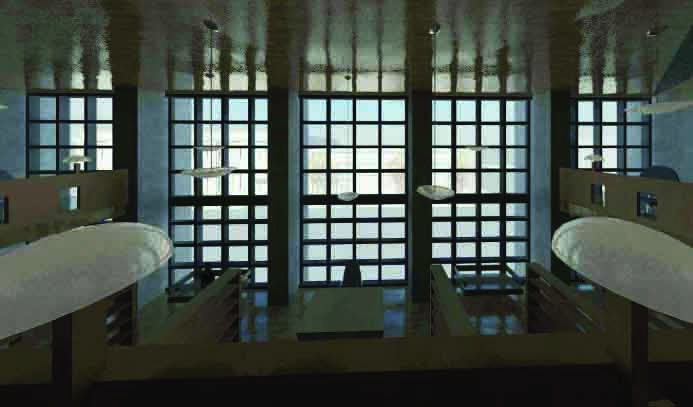 They represent lighting conditions in the library in the early morning, mid day and at night. Early in the design process, I constructed a highly detailed site model at 1/8″ scale consisting of 2 1/2 square blocks of the Portland North Park Blocks neighborhood. 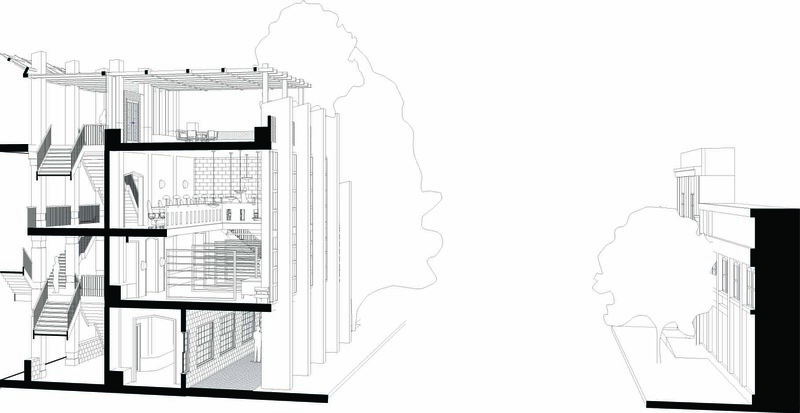 This was done with careful measurement and observation of the buildings, ground and trees on and around the site. 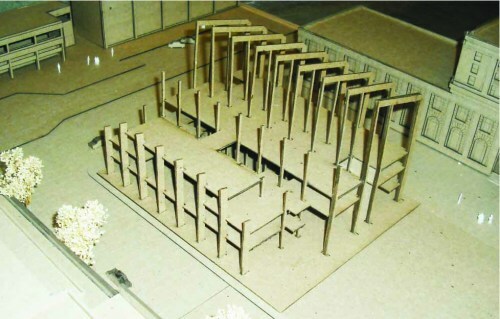 The model was constructed with precise care given to building scale and facades. 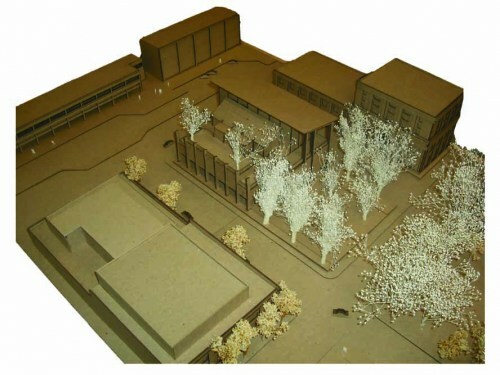 The completed site model provided a highly useful tool for experimenting with building massing and eventually in checking the finer points of landscaping and facades for the Eranos Institute. The Eranos Institute was largely a study in expressive structure and massing. 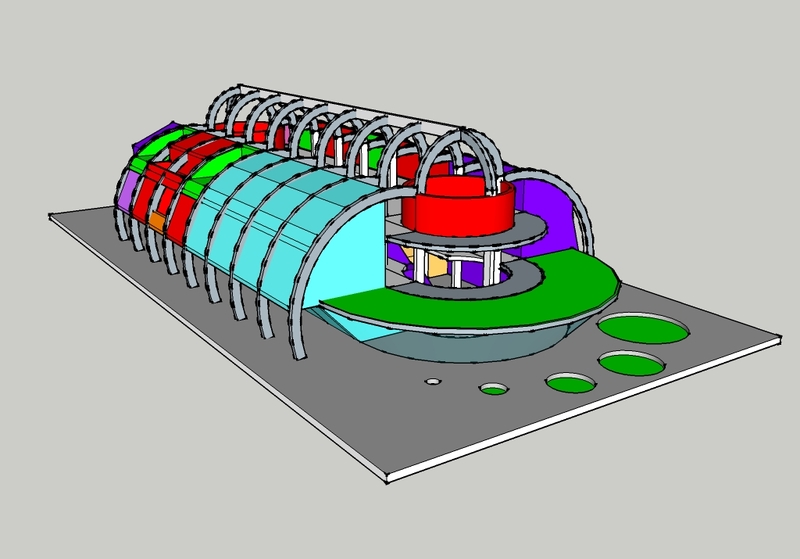 Computer models were employed to allow for quick exploration. 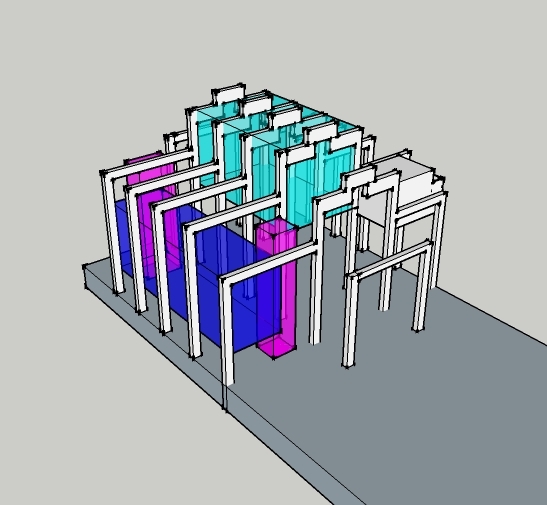 The following images show a few iterations of the building’s structural system with different programatic overlays.